Most manufacturers of non-asbestos sheet materials use synthetic fibers, like Kevlar, in conjunction with an elastomeric binder. The elastomeric binder makes up a larger percentage of this sheet and thereby becomes a more important consideration when determining applications. 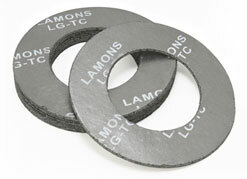 consist of a winding with a solid metal outer guide ring. 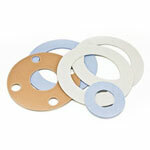 These gaskets can be used on plain flat face flanges and on raised face flanges. The outer guide ring serves to center the gasket properly in the flange joint, acts as an anti-blowout device, provides radial support for the Spiral Wound components, and acts as a compression gauge to prevent the Spiral Wound component from being crushed. Normally the outer guide rings are furnished in mild steel, but can be supplied in other metal when required by operating conditions. SBR, Neoprene, Buna-N, EPDM, Fluorocarbon (Viton), Natural Rubber and Silicones. Vegetable Fibre is a tough pliable gasket material manufactured by paper making techniques utilizing plant fibers and a glue-glycerin impregnation. 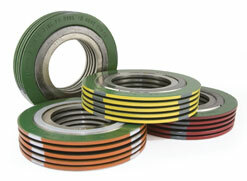 It is widely used for sealing petroleum products, gases and a wide variety of solvents. Its maximum temperature limit is 250F. offer superior performance, reliability, and service life, resulting in increased mechanical integrity of equipment. has outstanding resistance to corrosion against a wide variety of acids, alkalis and salt solutions, organic compounds, and heat transfer fluids, even at high temperatures. outstanding properties include resistance to temperature extremes from -140ºF to 450ºF (for virgin material). PTFE is highly resistant to chemicals, solvents, caustics and acids except free fluorine and alkali metals. 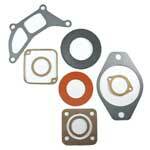 It has a very low surface energy and does not adhere to the flanges. 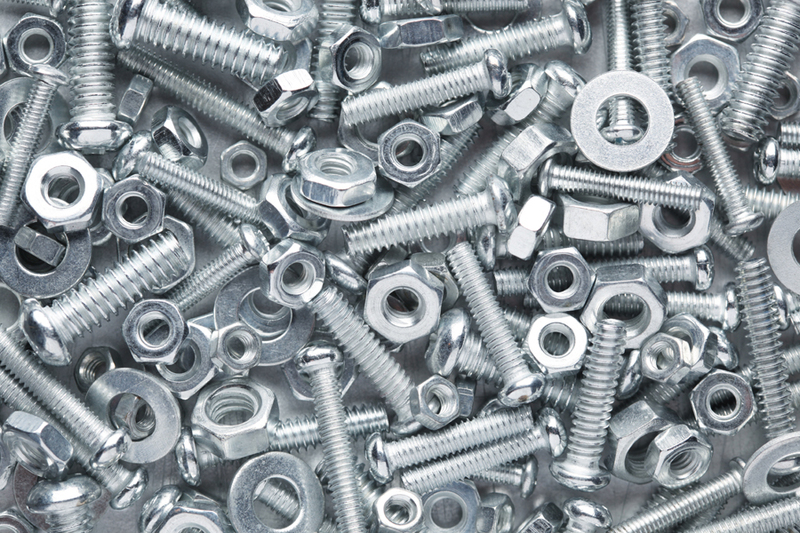 Industrial fasteners, studs, and custom made to print items. Utilizing the latest technology in CNC controlled machining centers, coupled with traditional machining methods gives us the ability to provide a full range of machining capabilities. 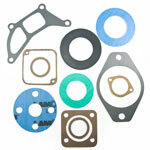 This enables us to handle your production run as well as your rush orders.